An ideal, fleece-lined winter boot for the kids messing about in this winter. The tough outer-shell and durable extra deep tread will see them through many winter walks, snowman building and sled rides. Easy fit closure for ease of use with cold or gloved hands. 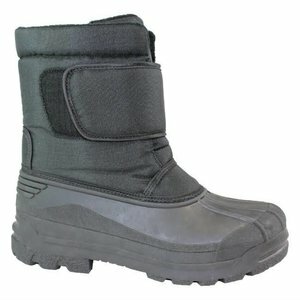 Waterproof rubber shell foot unit (waterproof up to the seam).